The F015 is a self-driving car but with a twist. This isn’t a near-term research project into how an autonomous car might work. Instead, the F015 is Mercedes’ attempt to explore what such a car might look and act like in 2030. Shared space in tomorrow’s world. Mercedes-Benz TV: A vision became reality: The Mercedes-Benz F 015 Luxury in Motion. 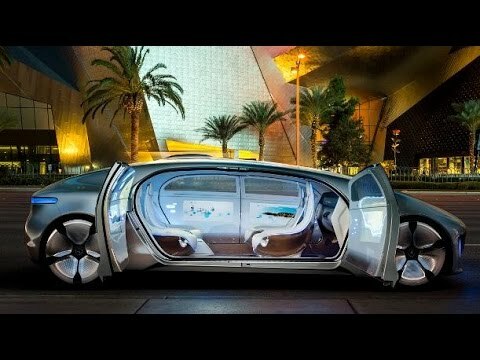 Mercedes-Benz TV: With the F 015 Luxury in Motion on the Las Vegas Strip.